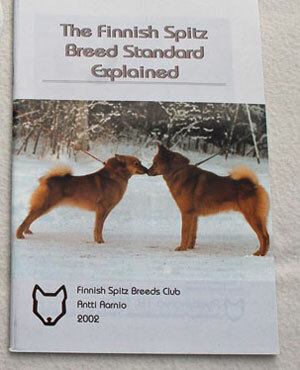 We have copies of “The Finnish Spitz Breed Standard Explained” book which was published in Finland by the SPJ. The book was written by Antti Aarnio (former Chairman of SPJ) and translated by Angela Cavill. 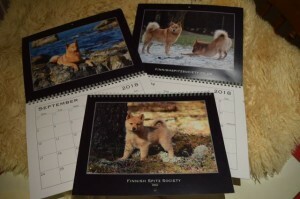 Copies of our Society’s 2017 Calendar will be available for order and purchase later in 2016. The 2016 Calendar sold out very quickly!